If I tell you ball, bludgeon, hoop, rope, ribbon you tell me... Rhythmic Gymnastics. This exclusively feminine sport, mixes at the same time the grace of the ballet dance and the technique of the control of equipment. 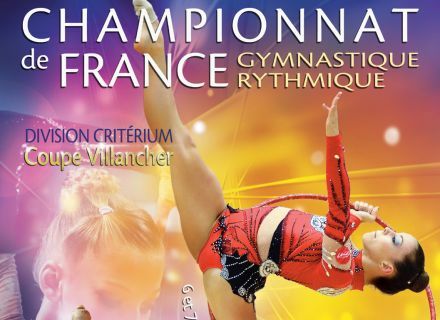 The French championships of Rhythmic Gymnastics take place this year in Niort in L’Acclameur, first weekend of June (in June 5-6-7th). During these three days you can discover at the same time the discipline through the competition but also, thanks to the Saturday show "the Cup Villancher", show given by the future members of the French team. And you will have the honor to meet the current French team, come specially for the occasion. Then we hurry up to buy his tickets on-line, or at the tourist office, street Brisson in Niort. What is your career pathways within the Rhythmic Gymnastics ? Vanessa : I began the Rhythmic Gymnastics at the age of 10, and I had a practice up to the age of 22 years. I became a trainer from the age of 15 years to the club of Saint-Nazaire, then to Rennes and Rezé, club where I was lucky enough to have a Vice-champion team of France in 2005 and Champion of France in 2006. 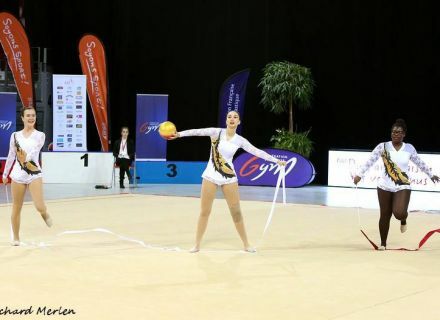 That year, for personal reasons I came to settle down in Niort where I created the section Rhythmic Gymnastics within ASPTT Niort. Of what consist the events of the Championship of Rhythmic Gymnastics ? Vanessa : During the French championships of Rhythmic Gymnastics, the teams do a passage which lasts of 1min30 in 2min 30 according to the categories. For the competition to come, there will be the divisions criteria (DC3, DC2 and DC1) and the futures (old of 10/11 the years, they will be maybe the member intendeds of the French team). Concerning the team of senior DC1 which I pull, she will do a passage of 2 min. What were the stages before the qualification of your team ? Vanessa : The team participated in three competitions, a secondary road in Deux-Sèvres, a regional within the Poitou-Charentes, and the last one in Brest, said by Zone (which groups Pays de la Loire, Bretagne, Poitou-Charentes). For this competition, it was necessary to end in the first three teams to be qualified in French championships. Our team finished second. What was the preparation for this competition ? How many trainings a week do you realize ? Vanessa : Usually, the girls of this team train twice a week, that is 5 hours. Since their qualification and to prepare at best this competition, we made an training course during the holidays. And we added a third training, what was not easy to set up because three gymnasts take their high school diploma this year. How many girls of the ASPTT Niort participate in the competition ? 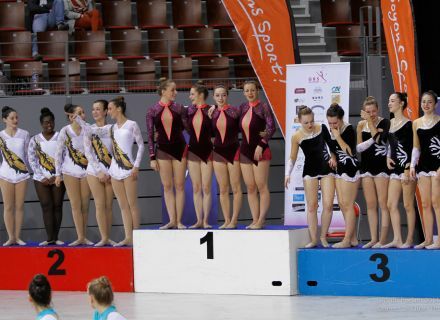 Vanessa : They are 5 gymnasts qualified for this competition, that is a team : Charlotte, Jeanne, Virginia, Adeline and Margot. They are from 17 to 27 years old. It will be about their last competition because some leave abroad for their studies. All in your schedule and meeting on June 5-6-7th in L’Acclameur, to encourage the team of ASPTT Niort !